Our mastermind program is based on self-discovery and empowerment in a supportive community environment. 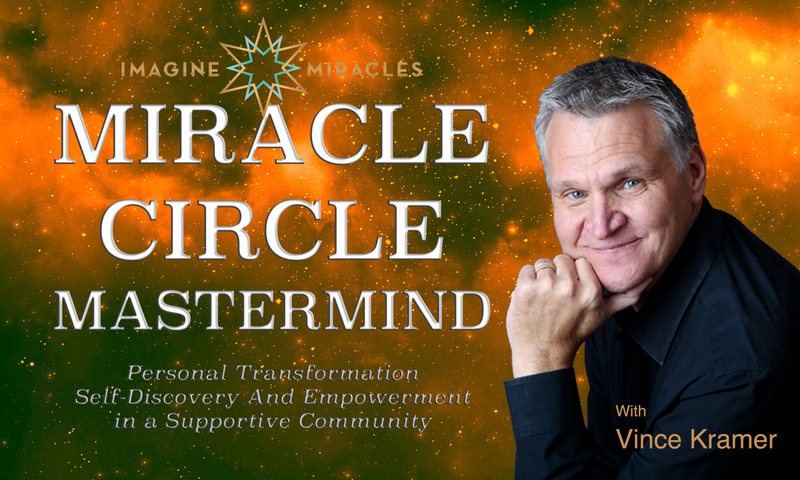 The Miracle Circle Mastermind (MCM) programs are the crown jewels of Imagine Miracles. The program has been conceived and developed by Vince from the ground up, and addresses a growing demand in personal growth and human potential for a completely “hands on” mentorship style. The MCM is for anyone ready to create their life on purpose, live the life they were meant to live and explore every possibility. Too many of us have lived too long pursuing the life that others told us would bring happiness and contentment. It’s time to discover what joy and success looks like for you specifically. Consolidating the teachings, trainings and experiential exercises of some of the most influential and effective people in transformation and personal growth, MCM takes participants through a year long immersive self-discovery, self-development and empowerment experience designed to change their lives and the lives around them forever. The Miracle Circle Mastermind program offers a Quantum Leap Empowerment platform that helps individuals create the life of their dreams and achieve optimal results. Whether you’re growing a business to its full potential, cultivating a mindset to give back and help others or embarking upon self-discovery, the mastermind completely reshapes lives and shows participants how to attain lifelong; joy, peace and prosperity -- all supported by an active community designed to help you stay accountable and step into your gifts and talents fully while expanding, growing and creating the life you desire by your design. Participants are able to design and lead a life on their own terms, to establish and nurture nourishing relationships, to master their emotional, mental and spiritual intelligence, and to take affirmative actions to achieve their personal, relationship, financial and career goals.